The Zenfone3 series was announced at a conference called Computex Conference held I June this year. 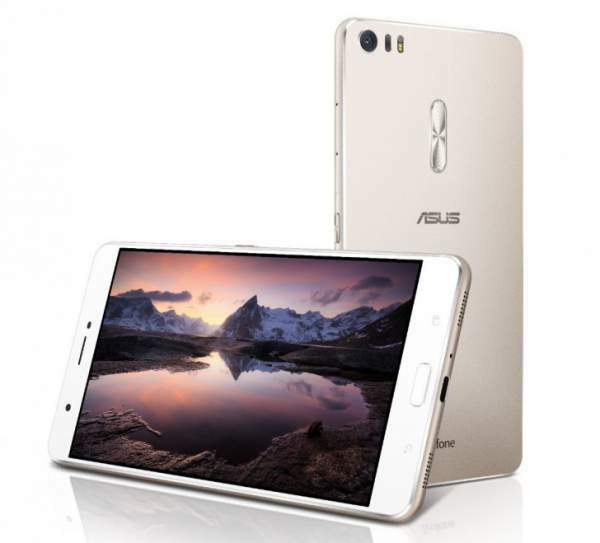 The Asus Zenfone series include a basic smartphone Zenfone3, a phablet Zenfone 3 Ultra, a camera oriented smartphone Zenfone 3 Laser and a premium smartphone Zenfone 3 Deluxe. Also, Zenfone3 Max is also a part of this awesome series which is launched this evening. Zenfone 3 features a 5.5-inch display with a pixels density of 401 ppi and resolution of 1080 x 1920 pixels. The device has got 3 GB and 4 GB RAM and 32 GB and 64 GB internal memory variants respectively. There is a 16-megapixels rear camera and 8-megapixels front camera. Zenfone 3 Ultra (phablet) features a 6.7-inch display with a pixels density of 324 ppi and resolution of 1080 x 1920 pixels. The device has got 3 GB and 4 GB RAM and 32 GB, 64 GB and 128 GB internal memory variants. There is a 23-megapixels rear camera and 8-megapixels front camera. The device is powered by Qualcomm Snapdragon 652 with octa-core (4 x 1.8 GHz Cortex A72 and 4 x 1.4 GHz Cortex A53) and Adreno 510. The company is providing a battery of 4,600 mAh. Zenfone 3 Ultra runs on Android OS Marshmallow v6.0.1. This gadget is priced at Rs. 33,000. Zenfone 3 Deluxe features a 5.7-inch display with a pixels density of 386 ppi and resolution of 1080 x 1920 pixels. The device has got 6 GB and 4 GB RAM and 256 GB, 128 GB and 64 GB internal memory variants. There is a 23-megapixels rear camera and 8-megapixels front camera. The device is powered by Qualcomm Snapdragon 820 and 821 with quad core (2 x 2.15 GHz Kryo and 2 x 1.6 GHz Kryo) and Adreno 530. The company is providing a battery of 3,000 mAh. Zenfone 3 Deluxe runs on Android OS Marshmallow v6.0.1. This gadget will be launching on 20 October and is expected to price at Rs. 49,999. Zenfone 3 Laser features a 5.5-inch display with a pixels density of 401 ppi and resolution of 1080 x 1920 pixels. The device has got 2 GB and 4GB RAM and 32GB and 64GB internal memory variants respectively. There is a 13-megapixels rear camera and 8-megapixels front camera. The device is powered by Qualcomm Snapdragon 430 with octa-core 1.4 GHz Cortex A53 and Adreno 505. The company is providing a battery of 3,000 mAh. Zenfone 3 Laser runs on Android OS Marshmallow v6.0.1. This gadget is priced at Rs. 18,000. For more information and any related query, leave a comment and do subscribe to the website. Premium price that nobody can afford..highly disappointed from ASUS..